Nepal in Foreign Press | United We Blog! A Buddhist monastery near Kathmandu is enjoying a surge in popularity after its spiritual leader directed its 300 nuns to use martial arts techniques. 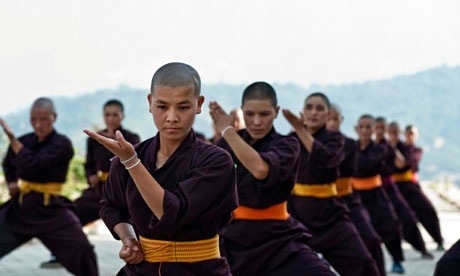 Enrolment is rising and Buddhist nuns as far afield as the Himachal Pradesh in India want to become kung fu instructors.